Broccoli is one of my kids’ favorite vegetables, so I buy a lot of broccoli. I recently got 4 ½ pounds in the farmer’s market bulk section for $3. Then this week as I was preparing the florets for roasting, I looked across the counter at the jar of pickle brine from my homemade dill refrigerator pickles, which my family just gobbled up. It occurred to me the shame in pitching this beautiful brine, speckled with coriander and mustard seeds, while plumes of dill picked from my garden floated around the jar. 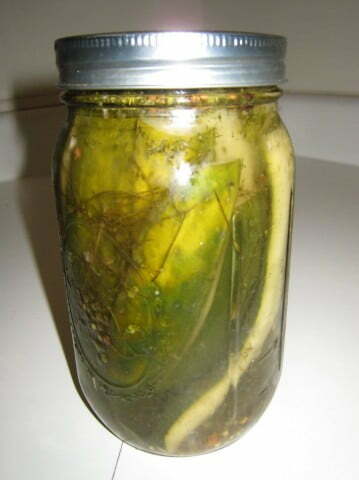 I thought, this brine could, and should, pickle again.